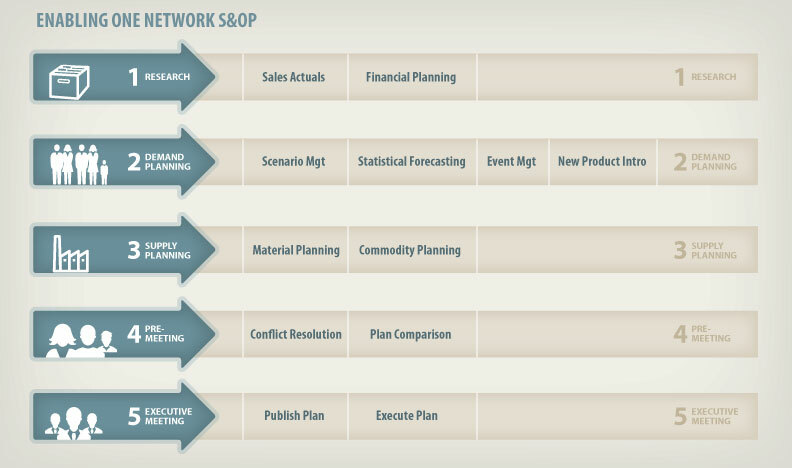 S&OP in the Real Time Value Network™ links your organization’s multi-year strategy plan, annual operating plan, and monthly S&OP plans with tactical sales, marketing, and financial goals, while providing the ability to execute across your operations and key trading relationships. Traditional S&OP processes struggle because they are manually intensive, rely on data in a myriad of systems, are not supply constrained, and take too long to complete. S&OP in the Real Time Value Network lets your organization easily create and execute your S&OP plans on a single cloud platform. Download the Sales and Operations Planning brochure to learn more.